Small Eyelash wiper from today in the forest of Arenal National Park, Costa Rica. I am happy to be back in this amazing country - world leading in eco-tourism and nature conservation. Shot with the high performing D810 and the Nikon AF-S NIKKOR 80-400mm f/4.5-5.6G ED VR Lens - a real super combo! 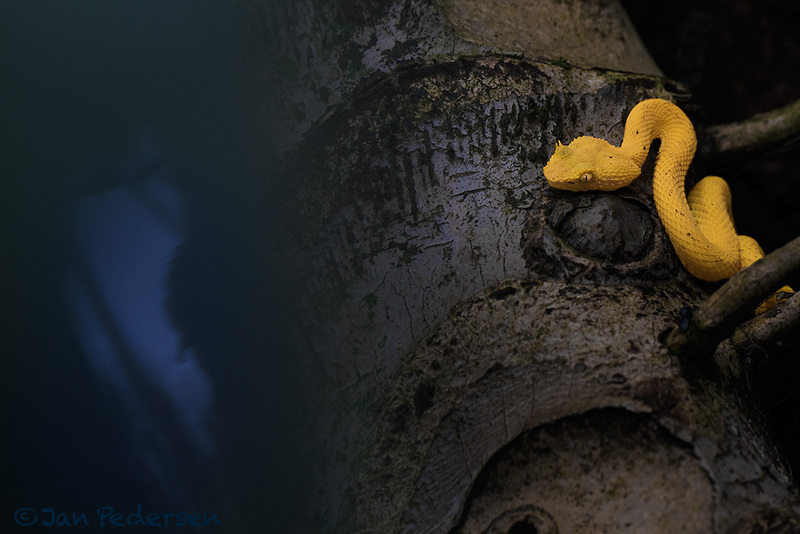 The eyelash viper is a venomous pit viper species found in Central and South America. Small and arboreal, these snakes are characterized by their wide array of color variations, as well as the superciliary scales over the eyes.